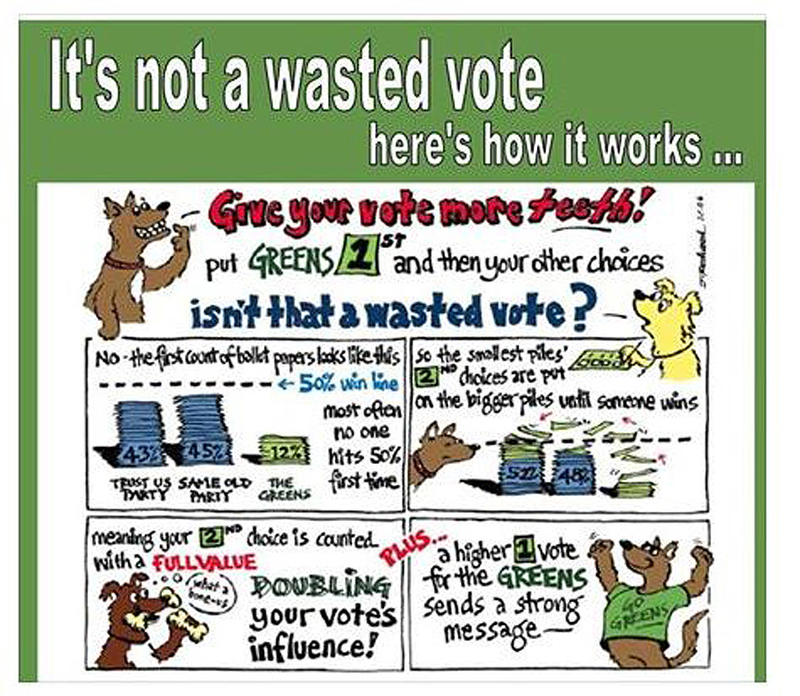 A call to Glen Eira Greens members and supporters who live in the Higgins electorate. This area takes in all Murrumbeena, most of Carnegie & Hugesdale & a large area of Ormond. You could help Jason’s campaign greatly by hosting a placard on your front fence or in any suitable place, street frontage etc. that will attract attention. Highly visible corner sites are very desirable. We will erect and also remove the placard soon after the election is over. If interested text me, Paul on o49o 292 82o leave your name and address and I will set the wheels in motion to get the placard happening. This entry was posted in Uncategorized on March 16, 2019 by Bayside, Glen Eira Greens. Join us for drinks and nibbles before seeing ‘Destroyer’, a film which follows the moral and existential odyssey of LAPD detective Erin Bell (astonishingly played by Nicole Kidman). This entry was posted in Uncategorized on March 12, 2019 by Bayside, Glen Eira Greens. This entry was posted in Uncategorized on January 22, 2015 by Bayside, Glen Eira Greens. 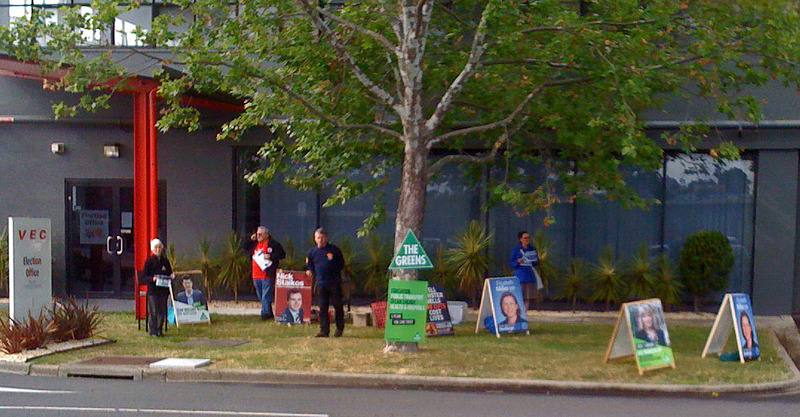 We are off and running, with a cloudy and somewhat coolish start to prepolling at Virginia Park Bentleigh this morning, The usual mob turned out, Libs and Labs, with welcome extra, from the United Firefighters Union UFU handing out a don’t vote Napthine leaflets. We has a 2 voters in the first 30 mins. Otherwise a quiet beginning. UPDATE 300 people cast their vote on Monday. This entry was posted in Uncategorized on November 17, 2014 by Bayside, Glen Eira Greens.